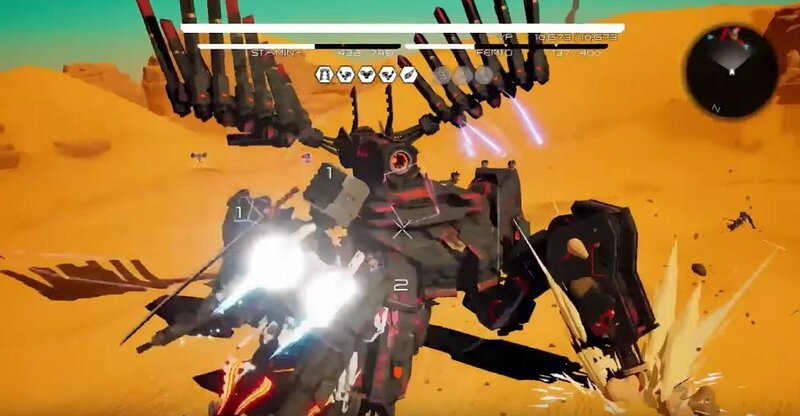 During today's Nintendo Direct presentation, we learned some more info about the upcoming mech-fighting title Daemon X Machina, at first look as such since its initial reveal at E3. Players will control a state-of-the-art mech suit known as an Arsenal, tasked with taking down A.I. units that have gone rogue. Your fully customisable pilot can even leave their mech to explore the futuristic world around them. Beaten A.I leave behind upgrades and weapons, that can be returned to base and fitted to your own suit for future battles. The game will also feature four-player co-op, which will allow you and your pals to take an array of custom mechs to war with huge boss characters. Daemon X Machina jets into battle on Nintendo Switch in 2019.